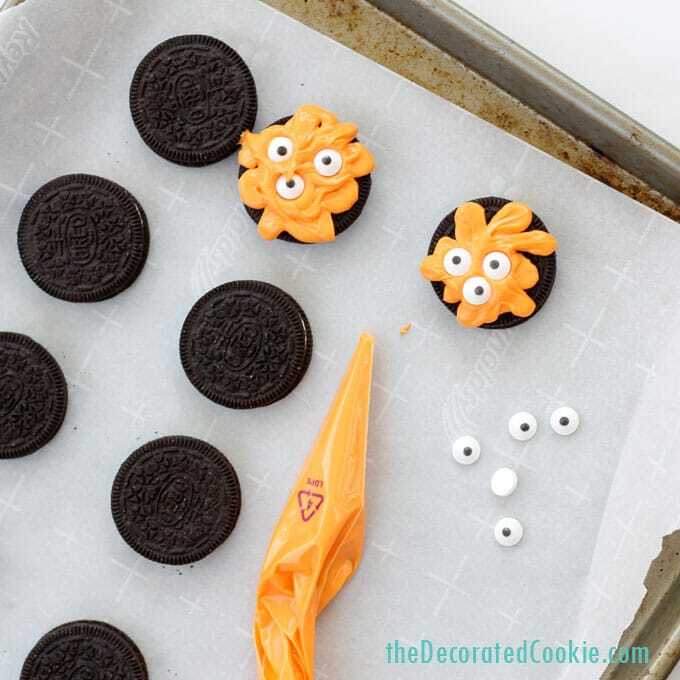 These monster Oreos cookies for Halloween couldn’t be quicker or easier to make! 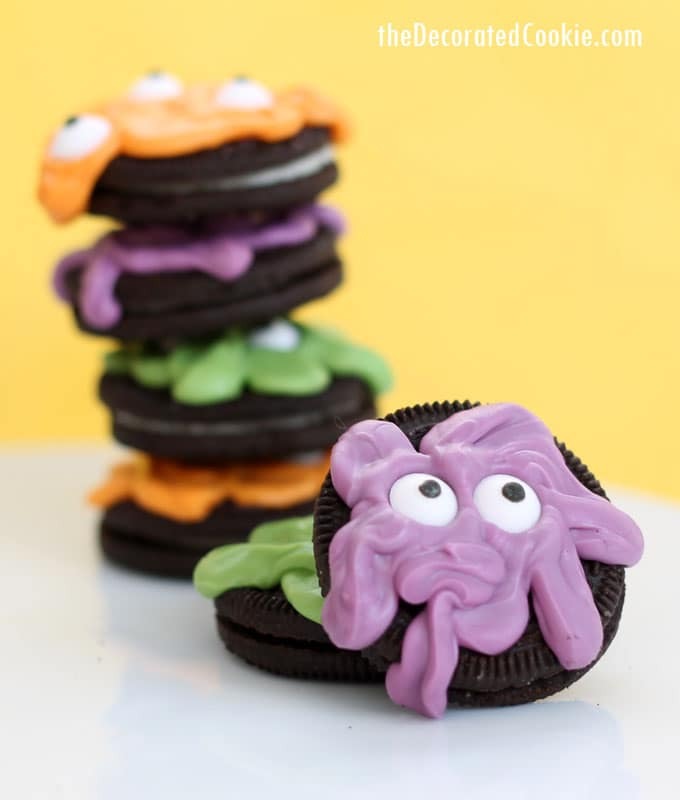 I made these super easy monster Oreos cookies for Beth of Hungry Happenings. 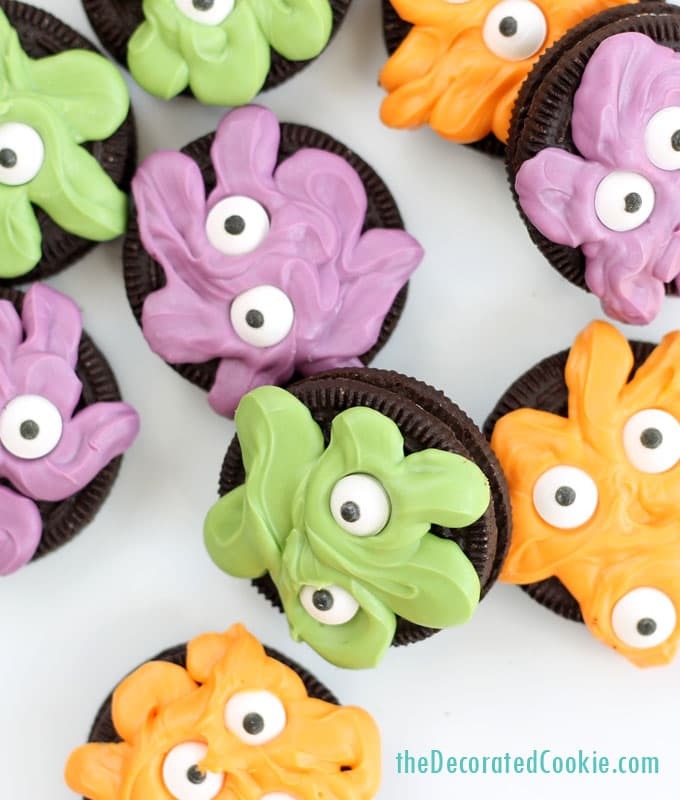 They work as easy Halloween party food or treats for a monster party. 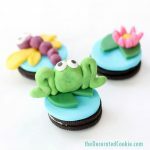 You see, recently, Beth organized, planned, coordinated AND hosted a fabulous Fun Food Blogger Retreat for myself, Kim of The Partiologist, Jill of Kitchen Fun with My 3 Sons, Norene of Party Pinching and Sue of Munchkin Munchies. We had such an incredible weekend, we are thanking her for all of her hard work by giving her a day off of blogging. 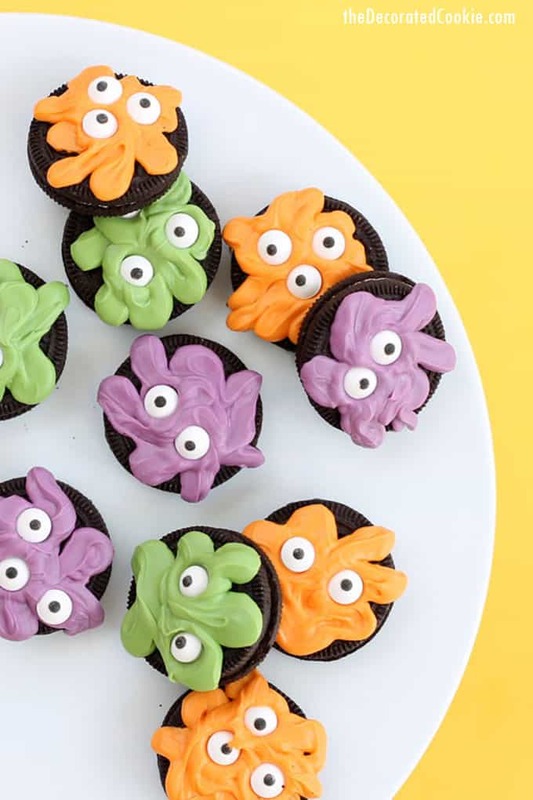 For these monster Oreos, all you need to do is melt some candy melts in any of your favorite Halloween colors, pipe them on some Oreos, and top them off with candy eyes. 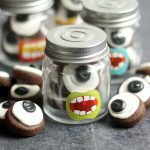 Candy melts and disposable decorating bags are two of my favorite tools for decorating treats, so I shared this decorating hack with my fellow bloggers at the retreat: Because candy melts are quick to melt without a lot of heat, you can melt them directly in a disposable decorating bag in the microwave. 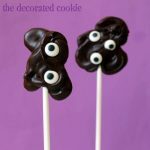 Chocolate melts at a higher temperature, which can make the decorating bag too hot to handle, but not candy melts. If you pour candy melts in a disposable decorating bag, heat them in the microwave for 90 seconds at 70 percent power. Massage the bag and heat longer if needed until they are fully melted. Then just snip the tip and pipe what you like. 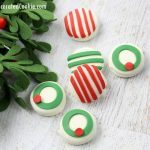 You can also decorate any cookies, store-bought or homemade, using this method, or even cupcakes and cakes. 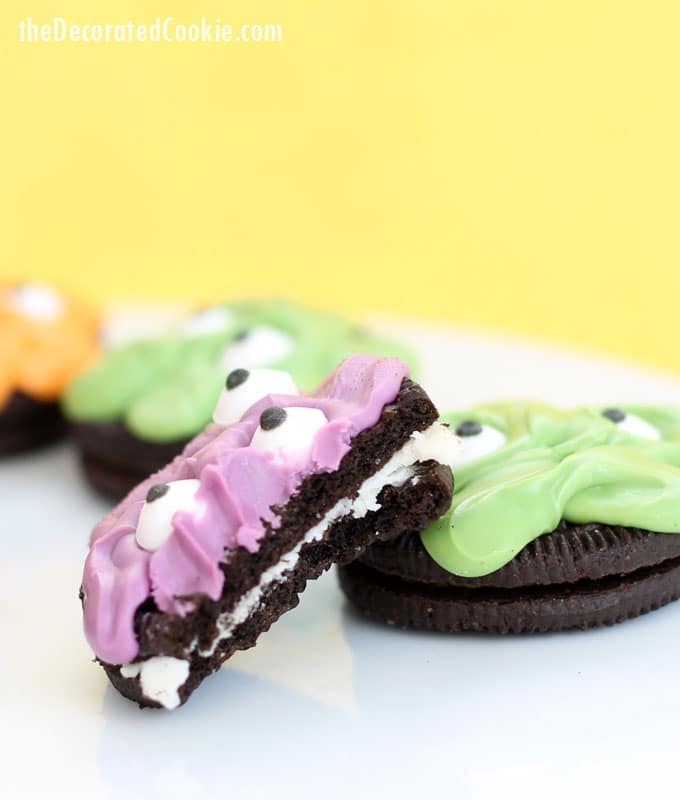 To make monster Oreo cookies for Halloween, check out the full tutorial over at Hungry Happenings.